Remarkable new fossil discoveries—giant sauropod dinosaur skeletons in Patagonia, dinosaurs with feathers in China, and a tiny dinosaur tail in Burmese amber—remain the lifeblood of modern paleobiology. Thanks to advances in technologies and methods, however, there has been a recent revolution in the scope of new information gleaned from such fossil finds. 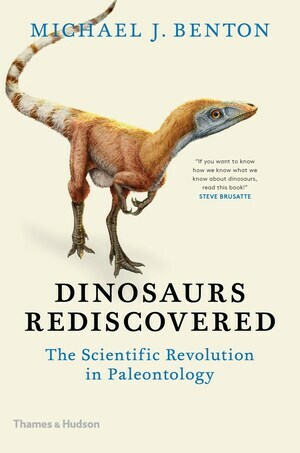 In Dinosaurs Rediscovered, leading paleontologist Michael J. Benton gathers together all the latest paleontological evidence, tracing the transformation of dinosaur study from its roots in antiquated natural history to an indisputably scientific field. 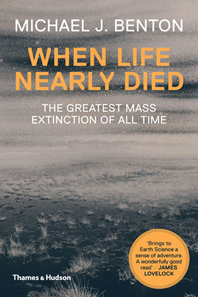 Among other things, the book explores how dinosaur remains are found and excavated, and especially how paleontologists read the details of dinosaurs’ lives from their fossils—their colors, their growth, and even whether we will ever be able to bring them back to life. 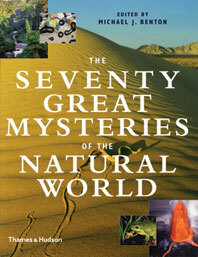 Benton’s account shows that, though extinct, dinosaurs are still very much a part of our world. Michael J. Benton is Professor of Vertebrate Palaeontology at the University of Bristol. His many previous books include standard reference works, textbooks, and popular books on dinosaurs and the history of life.